According to the 20th edition of the report Satellites to be Built & Launched, Euroconsult anticipates that 300 satellites with a mass of over 50 kg will be launched on average each year by 2026 for government agencies and commercial organizations worldwide — this is a threefold increase over the past decade as the satellite market experiences a paradigm shift with the rise of small satellites and mega constellations, such as that of OneWeb. "The space industry is undergoing a massive change in volume as cubesats/nanosats and the large constellations of small satellites have begun to revolutionize satellite design, testing and production, and launch as well, as illustrated by OneWeb," said Rachel Villain, Principal Advisor at Euroconsult and editor of the report. "However, it remains to be seen how these new satellite concepts will incentivize demand for satellite services on Earth through lower costs, especially considering that, ultimately, the cost of ownership for satellite services also includes a large investment on the ground." The 3,000 satellites over 50 kg to be launched over the 2017-2026 timeframe should represent a market of $304 billion for the space industry in terms of building and launching, an average of $30 billion per year (up 25% over past decade). A price decrease is visible in this core market of the space industry, driven by 23 commercial constellations launching a total of 1,800 small satellites (of which about 1,000 for OneWeb) into LEO or MEO for communications or EO. Over three quarters of the future space market remains with Governments; the 1,000 satellites to be launched for civilian and military agencies in 60 countries will represent a market of $239 billion. Governments dominate the space industry as established space countries replace and expand their in-orbit satellite systems, and more countries acquire their first operational satellite systems, usually for communications, Earth observation and imagery intelligence. Over 85% of the government market will remain concentrated in the 10 countries with an established space industry (the U.S., Russia, China, Japan, India and the top five European countries). Still, the other 50 countries engaged in space activities will launch almost 200 satellites, twice the number they launched over the past 10 years. Over half of these 200 satellites will be procured from foreign manufacturers as domestic industry capabilities develop in these countries. In the commercial space sector, Euroconsult believes that about 2,000 satellites will be launched over the decade, of which about half will be for OneWeb. Almost two-thirds of the commercial space market of $65 billion will remain concentrated in geostationary orbit, the destination of 150 new satellites for communications and broadcasting services. The 1,800 satellites to be launched into non-geostationary orbits for the 23 constellations to collect or transport data should represent a market of $2 billion per year on average over the decade. 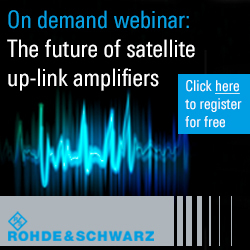 Satellites to be Built & Launched by 2026 is a unique business tool for understanding the dynamics of the satellite and launch markets, in all countries, for all applications and all orbits. 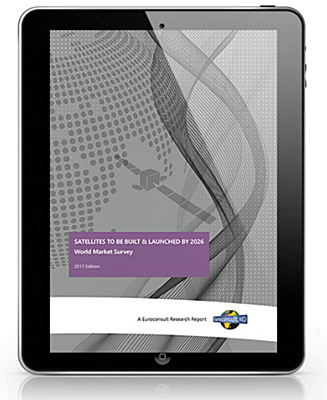 The report is fully updated, providing all key figures and analysis needed to understand the global space market, and the future opportunities and challenges associated with the big changes in progress in this market.